St Vincent de Paul home for the elderly. Relatives of people living at St Vincent de Paul home for the elderly will no longer be able to take home-made soft or liquidised food to loved ones on a restricted diet. Any soft food has to be provided by the residence and must be cut into small pieces not larger than one centimetre cubed, in line with new international safe eating guidelines. If visitors want to take food for their relatives on a normal diet, they will need a consent form signed by the residence. “When a resident is put on soft or liquidised food, it is a sign of serious health risk,” said a spokesman for Malta’s largest elderly home that hosts more than 1,300 people. Residents on a normal diet, he added, were not predisposed to health hazards from the consistency of food. However, if the food was not prepared by the residence it could not be held responsible for accidental mishaps or shortcomings in the preparation “hence, the consent form”. The guidelines, introduced a few weeks ago, followed discussions between St Vincent de Paul Residence management and stakeholders including the Malta Union of Midwives and Nurses. Some time earlier, the union had issued a memo to all nurses at St Vincent de Paul Residence contesting the food categories used there. 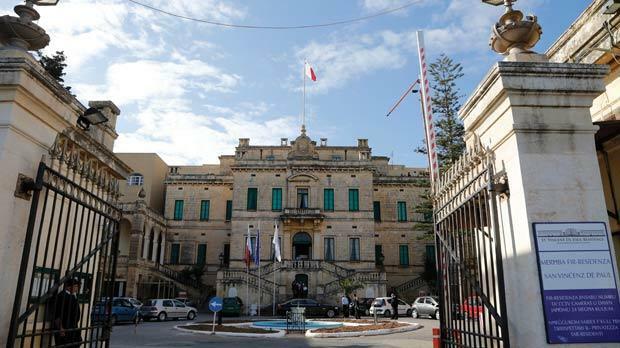 MUMN president Paul Pace said that following an incident at Karin Grech Hospital – when a patient died after choking on a piece of chicken two years ago – the union felt it should address the classification of food for elderly patients. “Having food, such as non-minced meat and chicken, being considered as a soft diet is not acceptable,” he wrote in the memo. Three nurses are pleading not guilty to the involuntary homicide of John Darmanin, 64, a dementia patient found dead in a toilet after having choked on a piece of chicken on March 7, 2012. Mr Darmanin’s wife, Eileen, testified he was on a soft-food diet. In July, the government announced it would rebuild the kitchen at St Vincent de Paul Residence after it was certified as being substandard by the health authorities.